Is it good or bad to drink coffee? Will the coffee make you nervous? Will the consumption of coffee improve my attention, intelligence? These are some questions that arise regarding the daily or occasional intake of this drink that has a very pleasant aroma as well as its flavor. Drinking coffee is good, but you should do it with moderation. Keep in mind that although coffee is attributed with many beneficial properties for health and these are already being widely accepted by scientists, you must consider drinking it in moderation. Remember that all or at least almost everything in excess can result in negative side effects for health. Eventually we could feel really tired in some point in a random day, and that's when we start serving with the big spoon certain things we like, such as coffee (for example in hours of extreme tiredness where we must continue with a high degree of efficiency performing our daily activities) because due to its good contribution of caffeine, it directly stimulates our nervous system to improve our attention, somehow also improves our intelligence level when learning things, making decisions and / or solving some type of problem. Coffee, or more specifically the caffeine this beverage contains, helps to perform better during training sessions, especially in those types of exercises that require a high commitment of the qualities such as anaerobic endurance, aerobic endurance and muscle strenght resistance. Drinking daily coffee (preferably bitter, non-decaffeinated and sugar free to avoid problems related to diabetes, obesity and hypertension) brings many long-term health benefits. Recent studies relate its consumption to a decrease in the risk of Alzheimer's, liver and prostate cancer. However, if you take more than 300 milligrams of caffeine per day and if you are not a very active person (an average cup of 250 mL volume may contain between 100 and 200 milligrams of caffeine), as your body becomes accustomed to a regular dose of caffeine, the system of adenosine that regulates the fatigue becomes more and more sensitive to this substance (the caffeine), and that can cause you to feel asleep in its absence. In other words, you can become very dependent on this drink, or rather caffeine as such. Keep in mind that the recommendation for a person who practices high intensity sports and / or who is very active during the day by study and / or work, ranges from 3 milligrams to 6 milligrams of caffeine per kilogram of body mass, so they can take advantage of the beneficial effects of coffee (more specifically caffeine) on physical performance and health in general, and avoid negative sides effects (fatigue or numbness in the absence of caffeine, excessive alertness, nervousness, difficulty falling asleep, colic, etc.). So if you weigh for example 60 kilograms, regardless of whether you are man or woman, and if in addition you are not a sedentary person who spends several hours sitting in the armchair watching TV ... then you could consume between 180 and 360 milligrams of caffeine A day or more or less a cup and a half of well-loaded coffee a day, to take advantage of the positive effects and avoid the negatives of this delicious drink. In order to avoid the negative effects of consuming coffee, moderate the daily consumption of this drink: "Ideally it is to space well the cups that you take throughout the day, thus you will avoid an overdose". If you drink for example 340 mL of coffee with breakfast, which could contain on average 130 milligrams of caffeine, drink the same in the meal and another amount at dinner. Remember that everything in excess is bad for your body, try to divide the "coffee shots" during the day and do not consume them in excess in a single shot. And of course, try to drink it bitter or with few amount of sugar, since excess of sugar is bad for health in the short or medium term. Why coffee is it good for? I will mention some of the effects of having coffee (non-decaffeinated) on our organism, both in disease prevention and in the improvement of some qualities. - Helps prevent degenerative diseases: in moderate doses according to the aforementioned based on your body mass and level of physical activity, drinking coffee daily can help prevent certain types of diseases, more specifically those neurodegenerative diseases, such as Parkinson's and Alzheimer's, since it contributes to preserving memory, increases neuronal myelination and this can increase physical and mental performance. - It could delay secondary aging: because of its high antioxidant content, drinking from 2 to 4 cups daily can decrease cellular deterioration and, thus, delay the secondary aging process that can be caused by diseases and environmental factors. Note that the primary aging caused by biological aging can not be stopped or delayed. 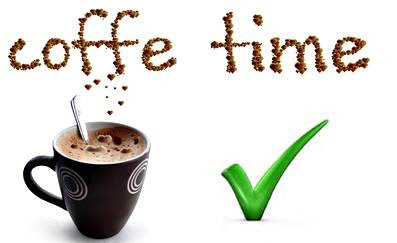 - It exerts control over the diabetes: the moderate consumption of coffee with or without caffeine (and without sugar) can help as protector against type 2 diabetes, since it fights the oxidative stress caused by this chronic disease. However, some studies still question this effect. - Prevents the disease known as Gout: a moderate dose of coffee per day helps reduce the risk to develop gout by 40%, because it reduces the levels of uric acid naturally. However, nutritional habits must also be considered for this factor, since it is useless to consume coffee and to consume a diet rich in "super greasy" and poor quality protein sources (sausages and some red meats). - Helps "combat" asthma: this benefit is due to the fact that caffeine has a vasodilatory effect, an effect that is also noticed in the bronchial tubes and, thus, favors the free and moderate passage of oxygen. However, proper exercise and good nutrition, in addition to medical monitoring, should not be lacking to help combat this disease. - Prevents hepatic cirrhosis: coffee reduces the risk of developing this serious liver disease, especially in cases that have been caused by poorly cured non-viral hepatitis. But again keep in mind that it is useless to drink coffee madly and lead poor habits of life, since the excess coffee does not counteract the excess liquor / alcohol and other bad lifestyle habits. - Helps control depression: because of its stimulating and somehow "energizing" power (although it really does not contribute many Calories), coffee is a great ally to regulate mood. This drink acts on your neurotransmitters, and thus causes release of endorphins and dopamine, two key substances to counteract depression. But at the same time it should also be promoted the practice of physical exercise that has been shown to have a more efficient power against depression, especially when it is practiced with other persons. - Contributes to reduce headaches: something similar happens with asthma, since the point here is to help vasodilation in arteries for a better blood flow. Keep in mind that headaches are often caused due to excessive vasoconstriction by the effects of stress and / or a very viscous blood plasma. For this reason, another point to keep in mind to help reduce headaches is to stay very well hydrated throughout the day. - It favors the good functioning of the mind, the whole cognitive part: coffee is a rich source of minerals such as potassium, magnesium and fluoride, so it helps the good performance of mind and memory. It can help us improve our level of attention, our ability to learn things, to solve problems, etc. - Prevents colon and rectal cancer: mainly due to its antioxidant effect. However, it also helps a good intestinal transit to avoid the accumulation of waste that can contribute to the development of any of these types of cancer. Also, keep in mind that good nutritional habits also play a very important role in preventing these and other types of cancer. I have already mentioned them throughout the article and are generated when the consumption of caffeine, and some due to the coffee with or without caffeine, is abused. These effects are extreme nervousness, colic or gastrointestinal discomfort, dependence on caffeine and perhaps risk of diabetes when consumed with sugar, although here the risk of suffering sooner or later this disease is actually attributed to the consumption of sugar with the coffee and with other drinks or food. You should keep in mind that coffee has a very powerful diuretic effect (remember to consume it preferably without sugar and not in excess), so it helps eliminate free radicals from your body, general waste. But because of its diuretic effect, it prevents good absorption of supplements like glutamine and creatine, so if you are going to consume any of these supplements, make sure you do not drink coffee at least 2 hours before or after your last cup of coffee. Coffee can also help you boost your energy when it comes to training, but regrettably after a period that varies in each person and especially when you abuse the recommended daily doses of caffeine according to your body weight, you can get used to this and no longer you will feel this push that gives you the coffee, or more specifically: caffeine. So what you should do when this happens is to stop its consumption for about 2 weeks, and then re-consume according to the recommended doses (between 3 mg and 6 mg of caffeine per kg of body mass) to feel again that boost of energy and prevent the body from getting used to it. In addition, by performing this practice, you avoid becoming dependent on this beverage, or rather avoid becoming dependent on caffeine.